May 21, 2009 (Part I, Part II) - Audio only. May 1, 2009 - audio only. April 24, 2009 - audio only. April 15, 2009 (Part I, Part II) - Due to technical difficulties, Part I is audio only. March 25, 2009 (Part I, Part II) - Part II is audio only. Study current law governing homeowners associations with respect to ensuring that homeowners are given adequate protections against unfair foreclosures and are given proper channels for redress in case of foreclosure. Monitor the proliferation of municipal utility districts (MUDs) outside the corporate limits or extraterritorial jurisdiction of municipalities and whether increased oversight of these districts by other political subdivisions is needed. Review the process for the creation of municipal utility districts (MUDs) through the template developed during the 81st Legislative Session, including any changes needed to increase the efficiency and oversight over the creation of proposed districts. Review the process for creating special districts, including whether the creation of a template, similar to the one created for municipal utility districts (MUDs), is feasible and would enable the legislature to more effectively evaluate other proposed special districts during future Sessions. Review the process and costs for local governments to make government information available online. Consider ways to encourage local governments to provide more transparency, including the Comptroller's experience with transparency and her offer to assist local governments, and consider penalties for entities that fail to comply with the online requirement. Assess ways to facilitate property ownership registration to better enable individuals to participate in federal programs and make recommendations to improve processing times to provide improved access to funds. Study the reasons for and the impacts of hospitals directly hiring physicians. Examine practices in other states. Make recommendations, if needed, to permit hospitals to directly hire physicians. Review state and local policies related to development and growth in rural and unincorporated regions of the state with regard to annexation and zoning authority. Focus on impacts to private property rights. Determine the appropriateness of existing extraterritorial jurisdiction authority. Make recommendations regarding possible changes to this authority. Review the types of support state government can provide to assist local government consolidations with county governments. Evaluate budget implications for city and county government consolidations. Research the appropriateness and cost savings of eliminating duplicity between city and county governments in different regions of the state. Review the statutory authority granted to municipal management districts (MMDs) and to emergency service districts (ESDs), the authority of municipalities and counties to create public improvement districts (PIDs). Determine whether the authority granted for each entity is adequate to accomplish the goals of local governments. Assess whether the consolidation of ESDs under one statute would improve uniformity and provision of fire and emergency services through these districts. Monitor the implementation of legislation addressed by the Senate Committee on Intergovernmental Relations, 81st Legislature, Regular and Called Sessions, and make recommendations for any legislation needed to improve, enhance, and/or complete implementation. 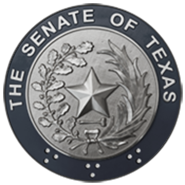 Monitor the use of the expanded funds provided by the 81st Legislature to the Texas Department of Housing and Community Affairs.